He had always been philanthropic, so when Major League Baseball officials asked Dave Winfield to speak to young players at a symposium near the end of his career in the mid-1990s, he jumped at the opportunity as if it were a hanging curveball. For three days, the Hall of Fame slugger imparted his wisdom, not only about baseball, but about life and the importance of giving back. “It was a lot of fun,” recalled Winfield, who will speak at the Ben Giambrone Compeer Sports Luncheon on Nov. 14 at the Joseph A. Floreano Rochester Riverside Convention Center. A few years later, after that “kid” had established himself as one of baseball’s biggest stars, he personally thanked Winfield. The young man’s name? Derek Jeter. Jeter’s Turn 2 Foundation recently celebrated its 20th anniversary with a gala in New York City where he took time to pay homage to the man who had inspired him. The legendary Yankees shortstop is among the scores of athletes who have formed charitable foundations. In fact, one of the most positive developments in modern-day sports is that nearly every prominent athlete is involved in an organization that gives back. With the Padres, Winfield also started buying blocks of tickets to each home game so poor families could attend. The bleachers where they sat came to be known as Winfield’s Pavilion. Over time, he did more than just distribute tickets. He also set up health clinics and staged anti-drug and computer literacy programs at the ballpark. And the 12-time MLB All-Star continued to organize and fund similar ballpark programs during his seasons with the Yankees, California Angels, Toronto Blue Jays, Minnesota Twins and Cleveland Indians. In 1977, he became the first professional athlete to launch a charitable foundation, and that immediately inspired other prominent athletes, including tennis stars Arthur Ashe and Martina Navratilova, to follow suit. Thanks to them and his God-given talents, Winfield blossomed into an amazing all-around athlete. He was blessed with great size—he stood 6-foot-6 and weighed 220 pounds in his prime. And he was swift and agile. At Minnesota, he excelled in two sports, guiding the Golden Gophers to a Big Ten basketball championship and the College World Series, where he earned most valuable player honors as a pitcher. Winfield, who turned 65 last month, remains involved in baseball as an assistant to Tony Clark, the director of the players union. But much of his time is spent running his foundation and making speeches like the one he’ll deliver at the Compeer luncheon. He’s good at inspiring people. Just ask Derek Jeter, who decided to follow his lead, on and off the diamond. 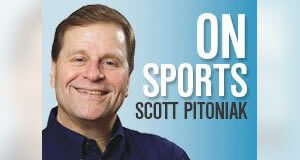 Scott Pitoniak is the Rochester Business Journal’s sports columnist. 11/3/2016 (c) 2016 Rochester Business Journal. 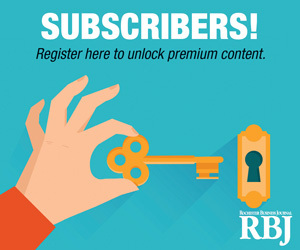 To obtain permission to reprint this article, call 585-546-8303 or email rbj@rbj.net.